Can I ask the entrepreneur questions about their business? Where can I contact the campaign owner via FundedByMe? We encourage you to ask campaign owners any questions that you feel are relevant to your investment decision! 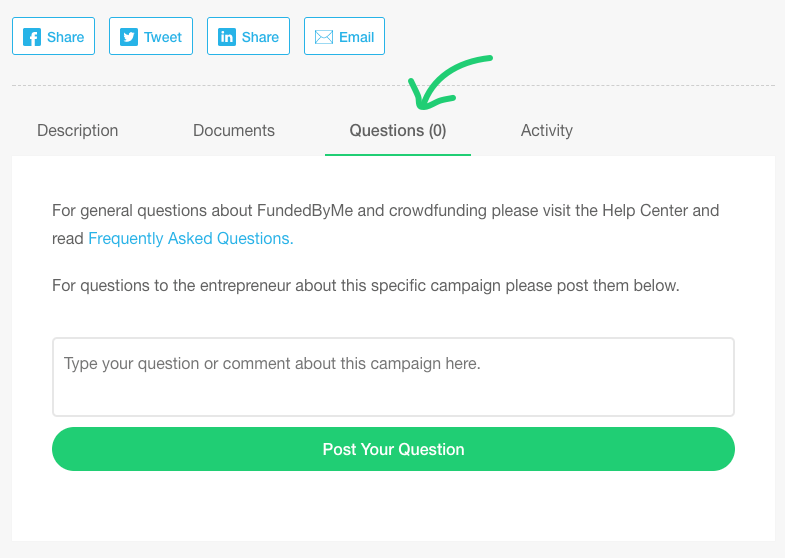 On each campaign you will find a 'Questions' button - this is where you can post any questions you have about the campaign, and read answers to questions other users have asked. Additionally, you can reach out to the entrepreneur via their profile page.